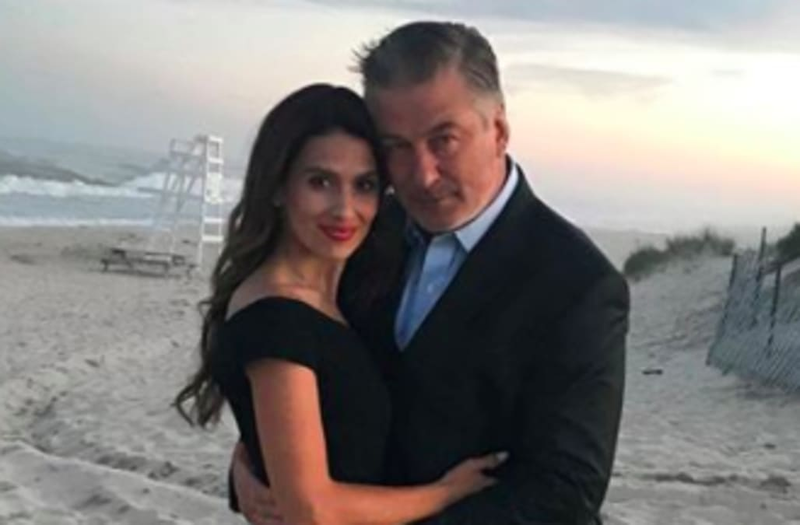 Hilaria and Alec Baldwin definitely aren't shy when it comes to kissing. The 59-year-old actor's wife, 33-year-old Hilaria, recently took to Instagram Stories to share video of the two making out in public. "Alec wants me to post this," the yoga instructor wrote. Alec and Hilaria will celebrate their five-year wedding anniversary on June 30. The couple shares three children together -- 3-year-old Carmen, 2-year-old Rafael and 9-month-old Leonardo. Clearly, the two appear more enamored with one another than ever. On Saturday, Hilaria shared a pic of her and Alec cuddling on the beach. "A great dress (@carmenmarcvalvo), a beautiful sunset, a summer night finishing on the beach...and Alec with his crouching-actor-not-so-hidden-drama pose," she joked. In September, Hilaria made headlines when she showed off her postpartum body just 24 hours after giving birth to her third child.